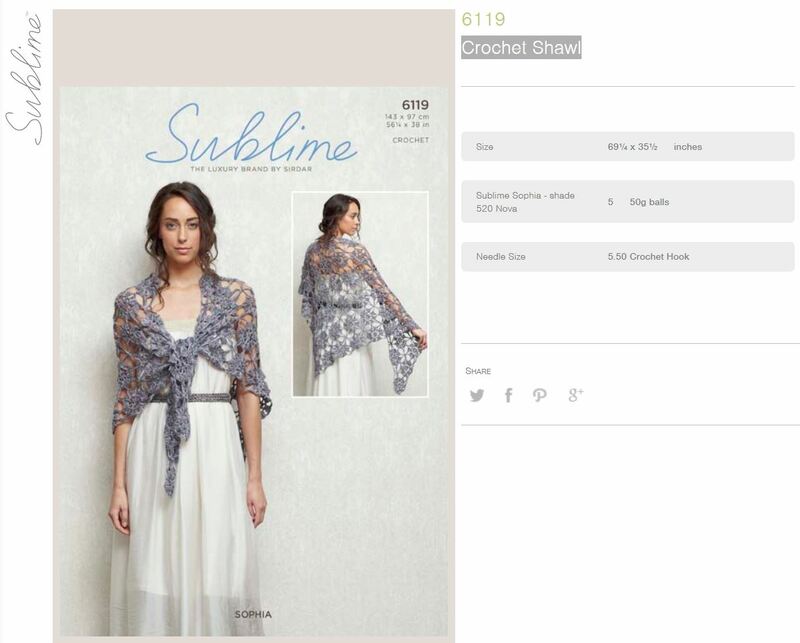 6119 - Crochet Shawl using Sophia Leaflet with a design for a Crochet Shawl using Sublime Sophia. 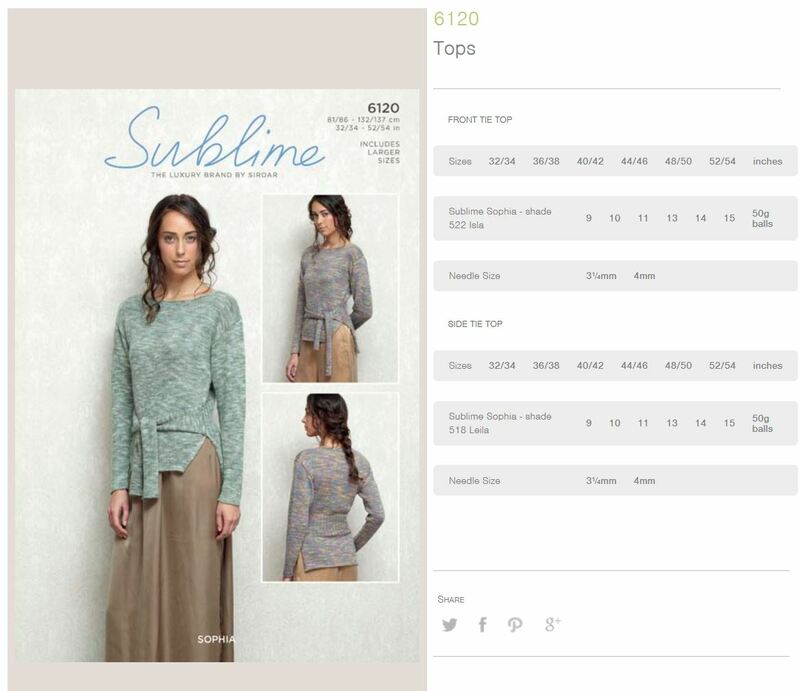 6120 - Tops using Sophia Leaflet with designs for Tops using Sublime Sophia. 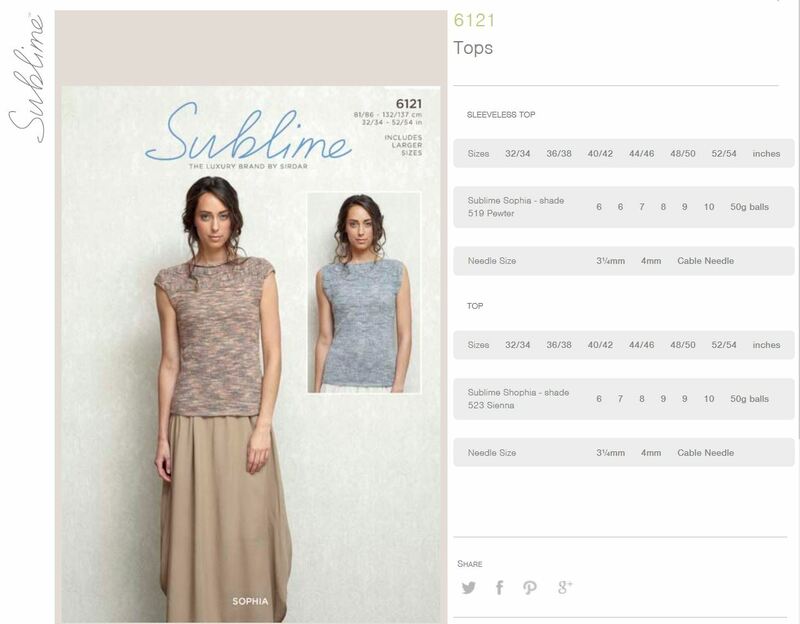 6121 - Sleeveless Tops using Sophia Leaflet with designs for Sleeveless Tops using Sublime Sophia. 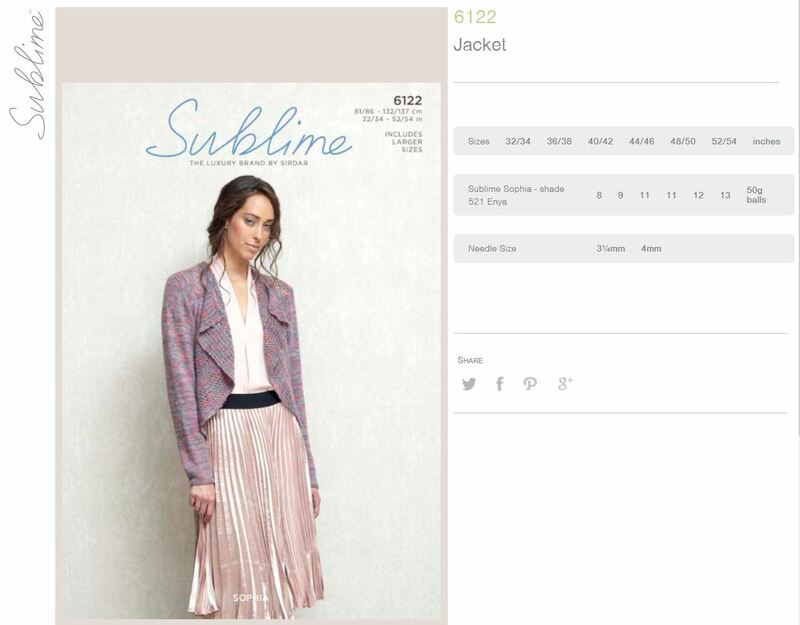 6122 - Jacket using Sophia Leaflet with a design for a Jacket using Sublime Sophia.